I tried to make a cross-stitch hot air balloon when I was a kid, but it was a disaster! 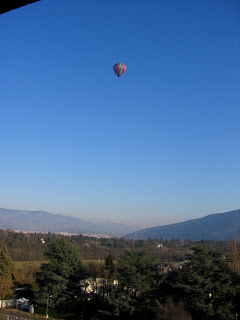 When my grandmother turned 90, my mom paid for the 2 of us to go for a hot air balloon ride. Mom didn't go since she has a fear of heights! All I can say is that is wish I was still in the balloon floating over the city! It was incredible!